A.V.Sulaiman, from Kazhakkoottam, Thiruvananthapuram, Kerala is a Senior Management Professional with complete Profit Accountability, Retail Operations, Business Development, Sales and Client Relationship Management. A result oriented professional with an experience of 28 years in handling various facets of Business Development & Retail Operations inclusive of Operations, Sales, Client Relationship Management and Team Management. Skillful at implementing turnaround strategies in Retail Chain, Catering, Import, Export, Wholesale, Trading and Distribution, Operations Management, Tendering and Business Development including foreign markets, Fiscal Management, Budgeting, Cash Flow Management, Sustainable P&L scenario. Holds the credit of exploring new markets, standardizing operations, initiating, restructuring business activities for escalating turnovers & achieving goals; handling all the retail operations – detailed market analysis, range & product selections, store operations, visual merchandising, marketing and client servicing. Possess excellent relationship management and communications coupled with abilities in leading and motivating teams. Currently he is engaged as the Director, Retails Division of Moramco group of Companies. Suncity was established in 1978 to fulfill the market needs for high quality retail solutions. Fro m the rarest foods to the freshest produce, Suncity constantly look for the finest items specially chosen for its customers. Suncity has positioned itself strategically as a leader in the regional retail sector by improving operational efficiency. It steps with the success of UAE. With tremendous experience and impeccable qualifications in the retail field, the promoters could consolidate Suncity stature as one of the most progressive business Moramco group in the region. The day to day operations of the Company are overseen by a competent management team with experience and expertise in the various disciplines they represent. The Directors are also functionally involved in the running of the Company. Suncity engages in retail business having vision and plan to have a chain of Retail spread all over UAE with prospects of opening more in the near future and expanding to other countries as well. Moramco Group currently involved in several different businesses in UAE each one seamlessly integrated into the community it serves. The Company was formed by a vision under the leadership of Mr. Mohammed Raja Mallik, Chairman of the Moramco Group. He realized the opportunities in the Retail and Trading industries across the United Arab Emirates, Middle East and the Sub Continent and decided to develop both businesses in the region. The company has enriched by over 30 years of services with employees from different nationalities. MMIGT is one of the subsidiaries of Moramco Group for supplying fresh fruits and vegetables in the UAE and the region. MMIGT is also one of the largest privately owned companies that aim to be the most recognized name when it comes to import, export and supplies for fresh fruits and vegetables in the U.A.E and MEA. The company also has its own import source for verity of fruits and vegetables from EUROPE, AFRICA, PAKISTAN, INDIA, PHILIPPINES and many other countries. Some of MMIGT’s prestigious customers are 5-star hotels, Catering Companies, Ship Chandlers, Restaurants, Labour Camps, Hypermarkets, Supermarkets, Whole Sale Companies and Hospitals. Born to. Abdul Wahib, a successful businessman and Sheharban, a house wife in Kazhakkoottam, Thiruvananthapuram in 1968 Sri. A.V.Sulaiman, has completed his College education. In 1987 he reached UAE and started his career as a front office head in a five star hotel and stayed there for 11 years. In 1998 he joined a fast moving consumer goods (FMCG) company as a Sales and Administration Manager and worked there for 5 years. 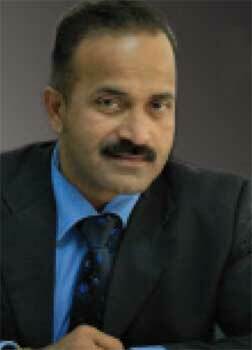 Then he served as a Sales and Marketng Manager (Dubai & Oman) in the Eastern India Trading for 2 years. 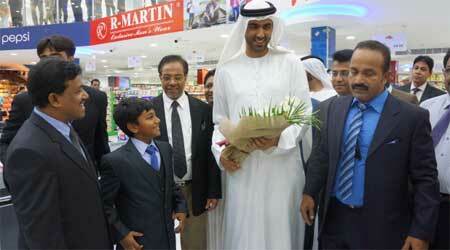 Then he became the Group General Manager (UAE & Oman) in the Al Mayar company for 2 years. Then he worked as the General Manager in Family Group till 2012 and after that he joined the Parco Group as General Manager and served there till 2015. In 2015 he joined the present Moramco Group as Director, Retails Division. 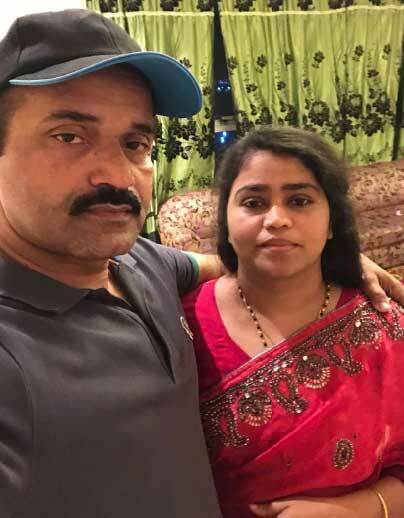 He has handled & developed many popular brands such as Teama Milk, Wadi Food, Chaaba, Laziza, HawTai, Jotis, Telal, Sukahati, Ameera, Abu Warda, Shaheen, Kalyan, Onam, 777, Golden Leaf Tea, Golden 747, Choice, Crown, Darbar, Taqwa, Abu Salma, Shalimar, and has bestowed with an award for best FMCG supplier from Dubai Government issued by Dubai customs. He played a focal role in achieving a business growth of 22% in the year 2010 and 54% in the year 2007. A.V.Sulaiman is married to Shahanas, who was a Marketing Official in a MNC. The couple is blessed with three children. Ismail, a Civil Engineering student in Thakkala, Suhara and Siddique, studying in standard 12thand 5th respectively at International Indian School, Ajman.